I was born in the Spring of 1986 in Tomar , a small city in the center of Portugal. 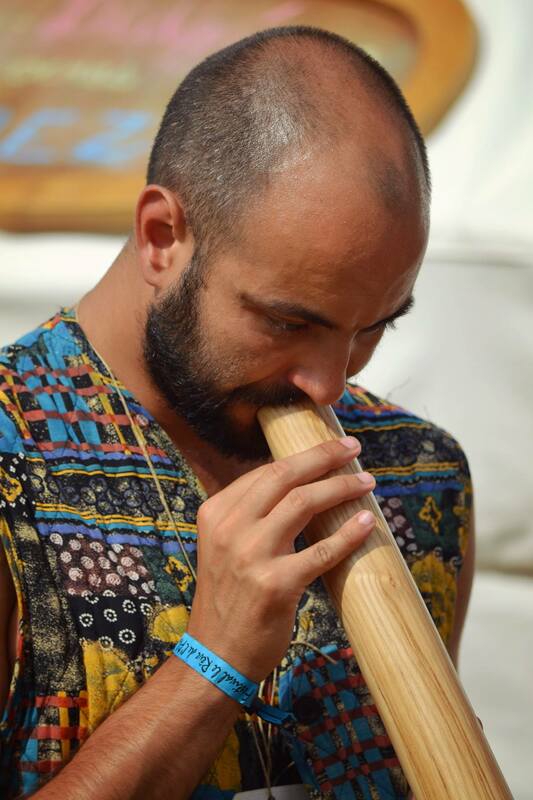 I play and experiment different musical instruments, but I developed my main musical work around the Didgeridoo and percussion . When I was 20 years old I moved to Lisbon the capital of Portugal, where i began studying Sound, a subject that was very important to continue my musical work in different artistic backgrounds. Was in 2008 that i discovered the APD (Associação Portuguesa de Didgeridoo) and the Didgeridoo Residence in Portugal, a place that forever changed the way i would see the Didgeridoo and Aboriginal art and Culture. I’ve started playing Didgeridoo around 10 years ago actually ,I’ve been all that time getting to know better my musicality , with no expectations and no future plans besides loving the moment forever. By this principles, i could gain will and motivation needed to improve my playability. Over the time i came across wonderful Didgeridoo people around the World and i like to think that my influences are from all of those.